Various media outlets have reported Israel’s takeover of the Zaytouna, one of the Women’s boats bound for Gaza, led by women and aimed at breaking the siege and deliver much needed aid to the enclave. 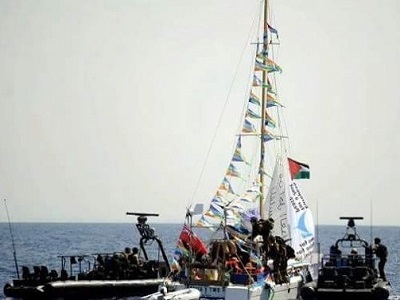 The connection with the boat and women on board was cut according to the international campaign to end Gaza’s siege. Zahir Albirawi of freedom boat, “The connection with the boat has been cut off for the last 40 minutes.” His announcement came minutes before media outlets have announced Israel’s takeover of the boat. The Zaytouna was supposed to be joined by Amal, another women-led boat, which could complete its journey as it suffered technical problems two days ago. Palestinians in the Gaza Strip have been waiting for the boat to break the siege. In 2010, Israel took over the Turkish flotilla, the Mavi Marmara, in the international waters, killing 10 Turkish activists on board. 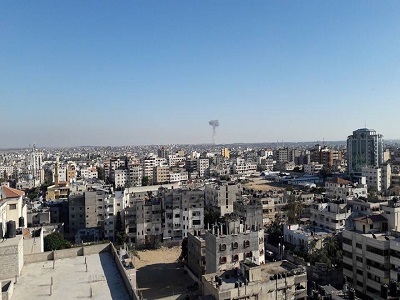 Attempts to break the siege have never stopped despite Israel not allowing any ship sailing to Gaza from reaching the besieged population since then. 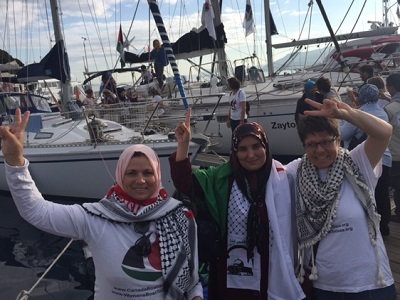 majority of people in the world supports the people in Gaza in their fight against Israeli Apartheid and this support will continue and the boats will continue to sail to Gaza until the illegal blockade against Gaza is lifted.